Reigning world champion Sally Pearson announced she was out of the Commonwealth Games, Bermuda’s Flora Duffy put in a dominant performance to claim the first gold medal of the Games in the women’s triathlon, there were multiple world and Games records and plenty more happened on Day 1 of GC2018. World champion Sally Pearson has officially withdrawn from the Gold Coast 2018 Commonwealth Games due to an Achilles injury, but vowed not to quit athletics. 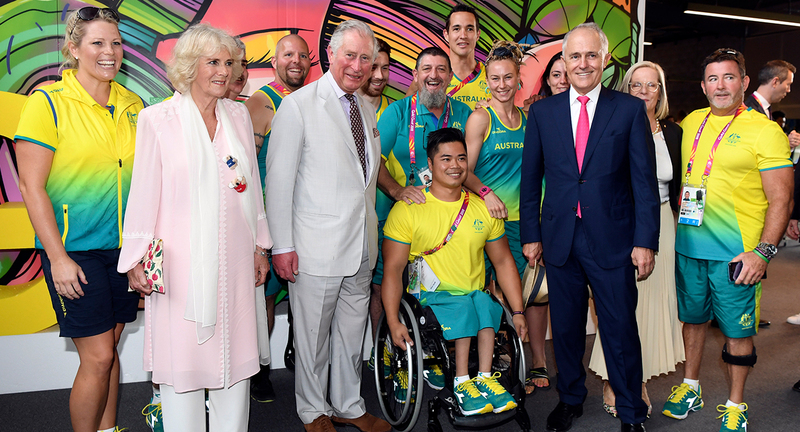 The Olympic, two-time world and dual Commonwealth Games hurdles gold medallist made the announcement on Thursday 5 April. 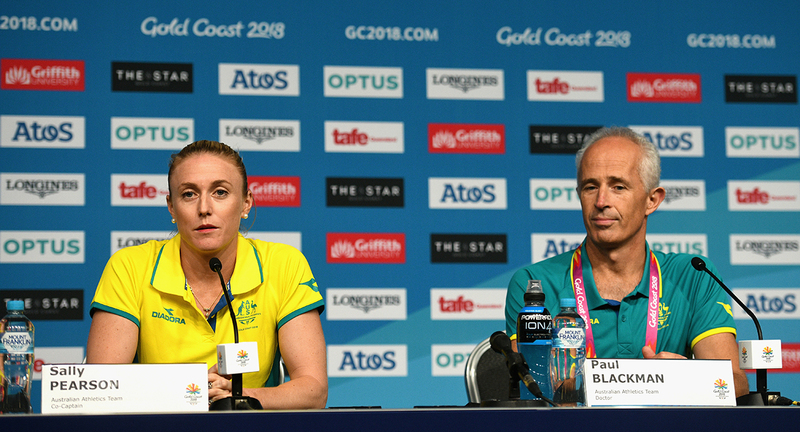 Pearson said her Achilles injury flared up two days ago while training at the Athletes’ Village and she knew immediately she would have to pull out of GC2018. “I did everything I possibly could do get out and race for Australia,” Pearson said. “I was full of confidence warming up (for training two days ago). I went into a hurdles drills and couldn’t do it. These injuries can spike very quickly. It was unfortunate the timing was now but my health comes first. “This is about my health, I want to go to Tokyo in 2020. Women’s Triathlon favourite Flora Duffy lived up to her pre-race billing to claim the first gold medal of GC2018 at Southport Broadwater Parklands. The world number one finished in a time of 56 minutes and 50 seconds, with England’s Jessica Learmonth claiming silver, 43 seconds behind, and Canada’s Joanna Brown taking bronze a further five seconds later. 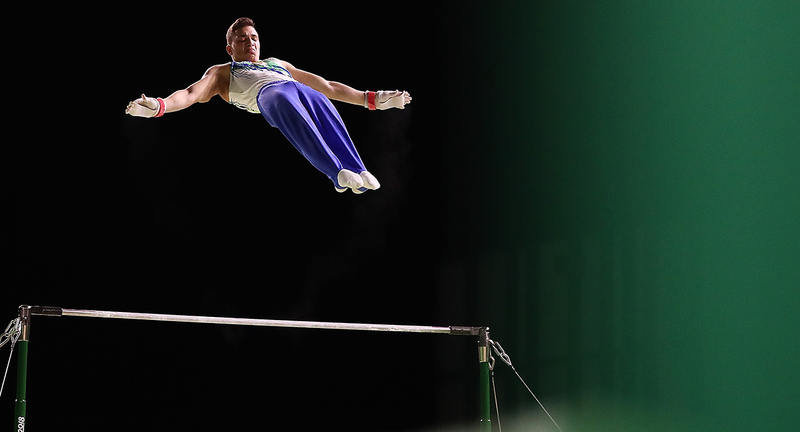 It was also Bermuda’s first ever gold medal at the Commonwealth Games. “I came in the favourite so that adds its own pressure. For me it was personal, I wanted to do well,” Duffy said. 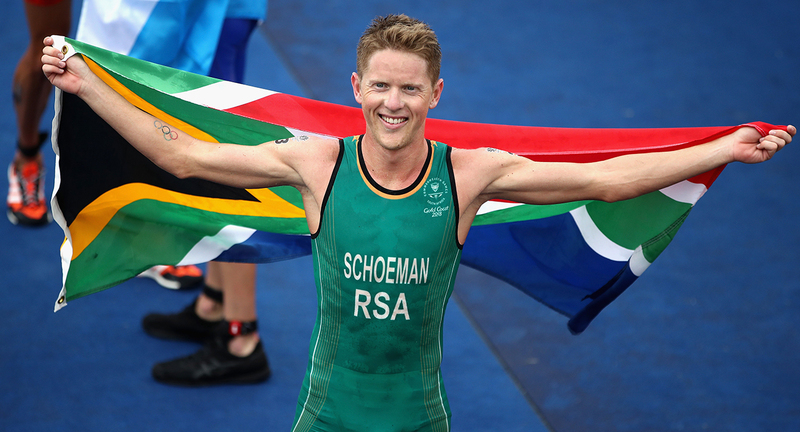 Henri Schoeman Won South Africa’s first ever gold medal in the men’s triathlon. South Africa’s Henri Schoeman has claimed gold in the men’s Triathlon at the Gold Coast 2018 Commonwealth Games at Southport Broadwater Parklands on Thursday 5 April. Schoeman broke away on the run leg to beat fast finishing Australian Jacob Birtwhistle, while Scotland’s Marc Austin claimed bronze. It was South Africa’s first ever triathlon gold medal at a Commonwealth Games. Schoeman, who was the first South African to win an Olympic triathlon medal after finishing third at Rio 2016, raised his right index finger to the air and then two arms aloft as he crossed the finish line, kissing the winning tape to celebrate. 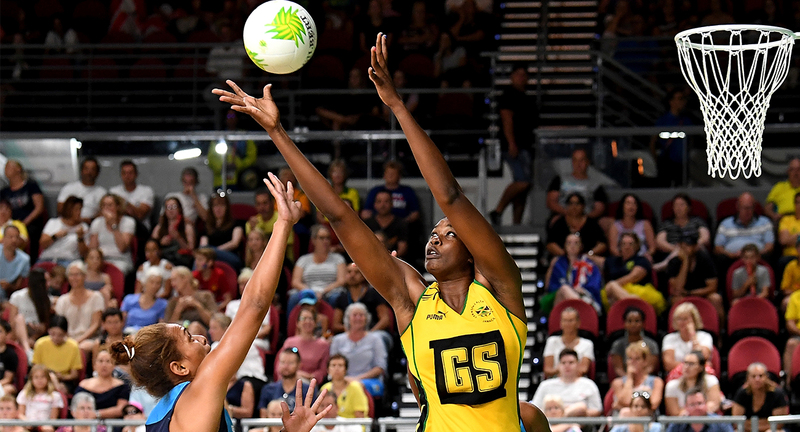 Netball giant Jamaica’s Jhaniele Fowler-Reid has cast a 196cm shadow over the tournament on the opening day of competition at the Gold Coast Convention and Exhibition Centre. Regarded as one of the world’s premier goal shooters, Fowler-Reid outscored Fiji all on her own, as Jamaica confirmed its reputation as a Gold Coast 2018 Commonwealth Games medal contender, winning 88-30. 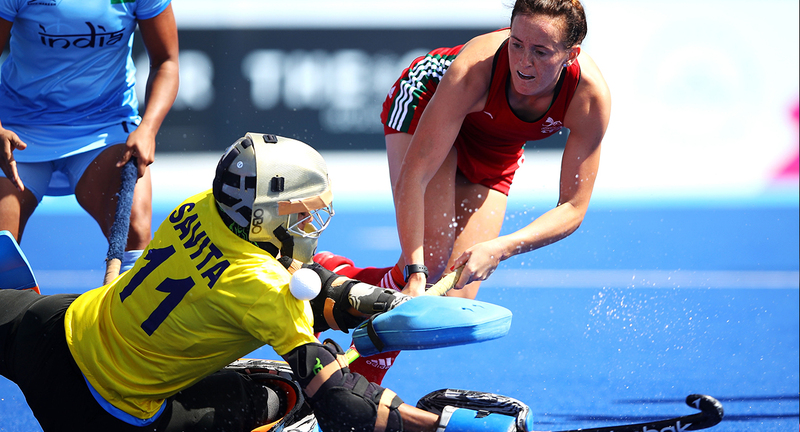 In the second game of the opening session, goal shooter Jo Harten led England to a 74-28 win against Scotland. But it was England’s defensive pair of Geva Mentor and captain Agbeze who were most impressive. 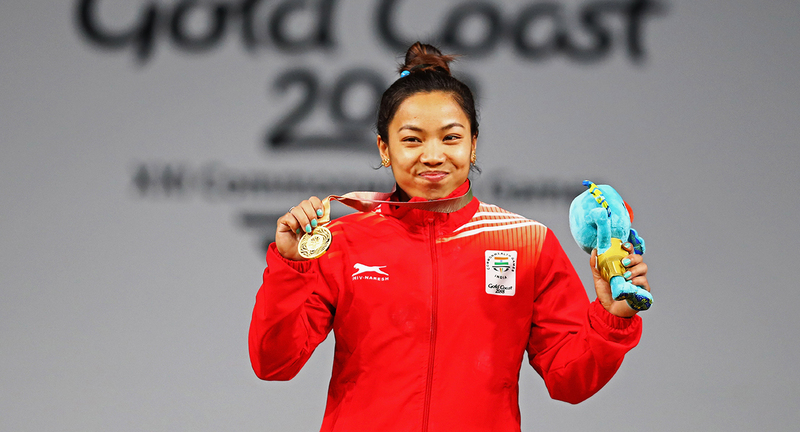 India’s Saikhom Mirabai Chanu won gold in the women’s 48kg weightlifting, setting a new Commonwealth Games record in the process with a total lift of 196kg. The 23-year-old took silver at the Glasgow 2014 Commonwealth Games, before qualifying for the 2016 Rio Olympics in the women’s 48kg category, but didn’t perform how she wanted. “I came here with the ambition of breaking my own record and I am glad I made it happen,” Mirabai Chanu said. 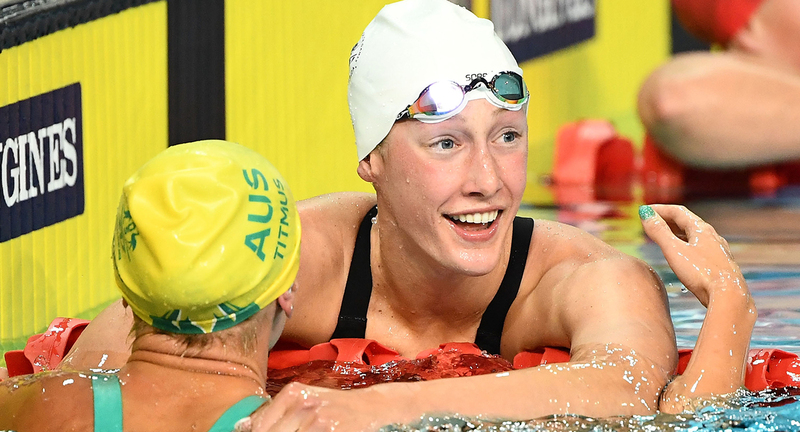 Canada’s Taylor Ruck held off a fast finishing Ariarne Titmus of Australia in a thrilling 200m freestyle final on Thursday night. It was a battle of swimming’s superstar 17-year-olds, a precursor to a rivalry we could see at future Olympics and Commonwealth Games for the next decade. “I saw Ariarne (Titmus) coming up and I thought she’d won,” Ruck said. Australia broke its own world record in winning the women’s 4x100m freestyle relay on Thursday night. Emma McKeon managed to extend that lead to two body-lengths before handing over to former 100m freestyle world record holder Cate Campbell. Campbell, who took a break from competitive swimming after Rio, showed she was back at her best and sprinted home to stop the clock at three minutes 30.05 seconds, lowering the previous record by 0.6 seconds. Australia’s Emma-Mckeon competes during the women’s 100m Butterfly. 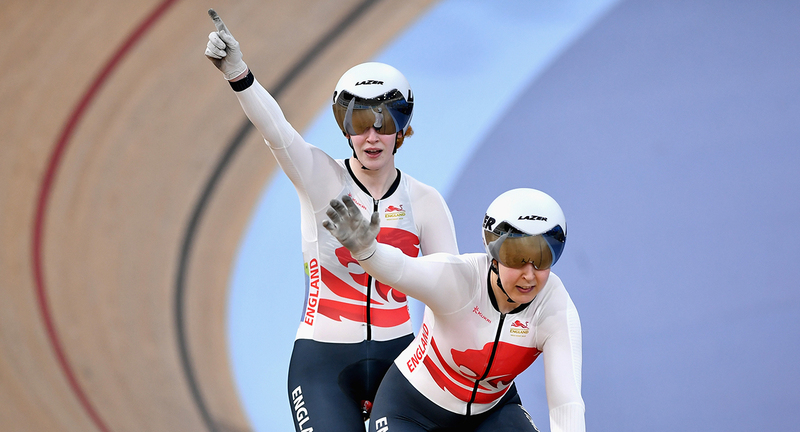 The world record for the women’s blind and vision impaired sprint cycling was under siege during qualifying. Australia’s Jessica Gallagher broke her own world record of 11.045 seconds, completing the 200m distance in 10.954. It didn’t last long, with England’s Sophie Thornhill lowing the mark immediately afterwards in 10.609. 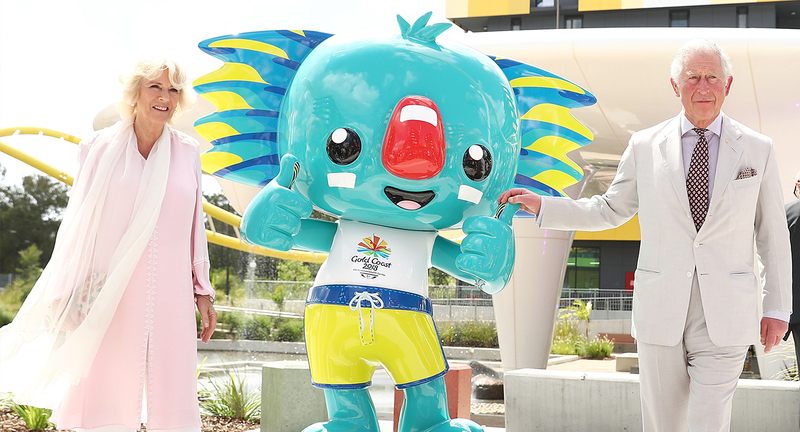 Fresh from officially opening the Games, the Prince of Wales and Duchess of Cornwall have toured the Gold Coast and the Athlete’s Village. -Malaysia squash player Eain Yow Ng after losing a five-game thriller that lasted a marathon 86 minutes. -Norfolk Island’s Haydn Evans following his team’s win against Northern Ireland 21-11 in the men’s triples at Broadbeach Bowls Club. 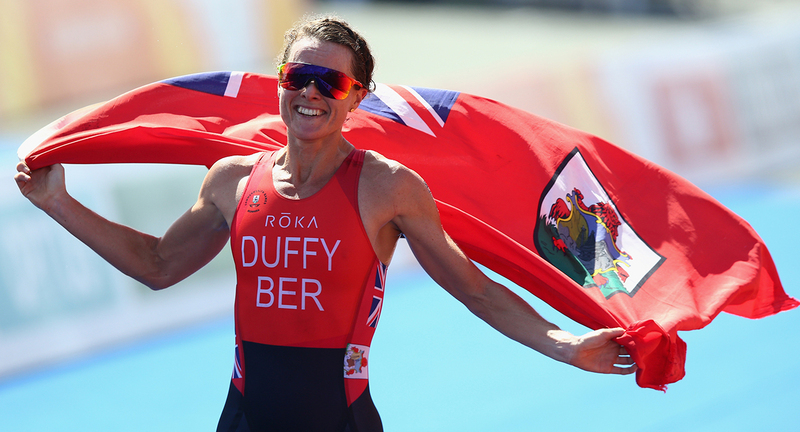 -Bermuda’s Flora Duffy after she won the country’s first ever gold medal and became the first athlete to claim gold after winning the women’s triathlon.